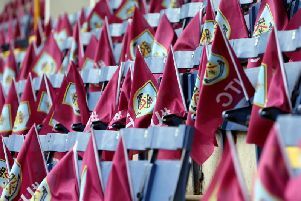 Former Clarets skipper Frank Sinclair feels survival is the name of the game next season, despite Burnley enjoying their best top-flight season since 1974. Sean Dyche guided the club to seventh place in the Premier League, and a first European campaign in 51. Sinclair, who spent three seasons at Turf Moor between 2004 and 2007, believes that will be very difficult to replicate or better, and said: “The club and manager are in a great position, as they massively surpassed what their expectation of the season was at the beginning of the season. “With success, there will always come greater expectations, but I think the owners will be sensible and see what Dyche has achieved with his time at the club before expecting too much. “Burnley’s overall stats weren’t great, with games being very tight week in week out. On another season, certain results may have gone against them, and it could have cost them 10 points, which leaves the club in a completely different position. And, while Chris Wood effectively scored a goal every two games, finishing as the club’s top-scorer with 11, Sinclair thinks the club need to bolster their strikeforce: “I’m sure they’ll try and strengthen the squad in the transfer market, but I don’t know how much they’ll be able to do so with the funds that are available. “Burnley’s starting 11 is not bad, but I think they need to get another goal scorer in to help Ashley Barnes, who was one of the most improved players in the Premier League last season, from where he was the season before. The Clarets are one of six Premier League clubs interested in West Brom forward Jay Rodriguez, and Sinclair thinks Burnley could bring in some new faces from relegated sides: “There’s some excellent players that could be available from demoted teams this year. The likes of Rondon and both Jordan and Andre Ayew would be fantastic additions to the team.